I was looking at some Japanese watch magazine when I spotted this watch from IWC. It looks interesting. However I could not find any information on the watch. 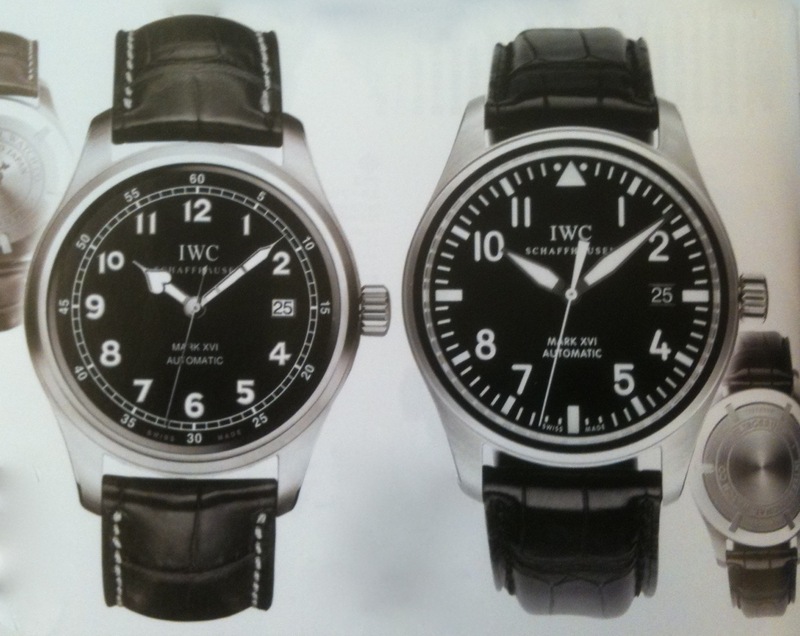 It has the reference IW3255 which is the basic reference for the IWC MK XVI Pilot watch. The watch. All the photographs are from the Japanese watch magazine. I believe it shares the same specifications as the Mk XVI. The watch case looks like it is the same as the Mk XVI. So it measures 39 mm in diameter and 11.5 mm thick. It is fitted with a sapphire crystal and is water resistant to 6 ATM. It retail for about USD 6,000. Here you can see the difference and similarities between this watch and the MK XVI. 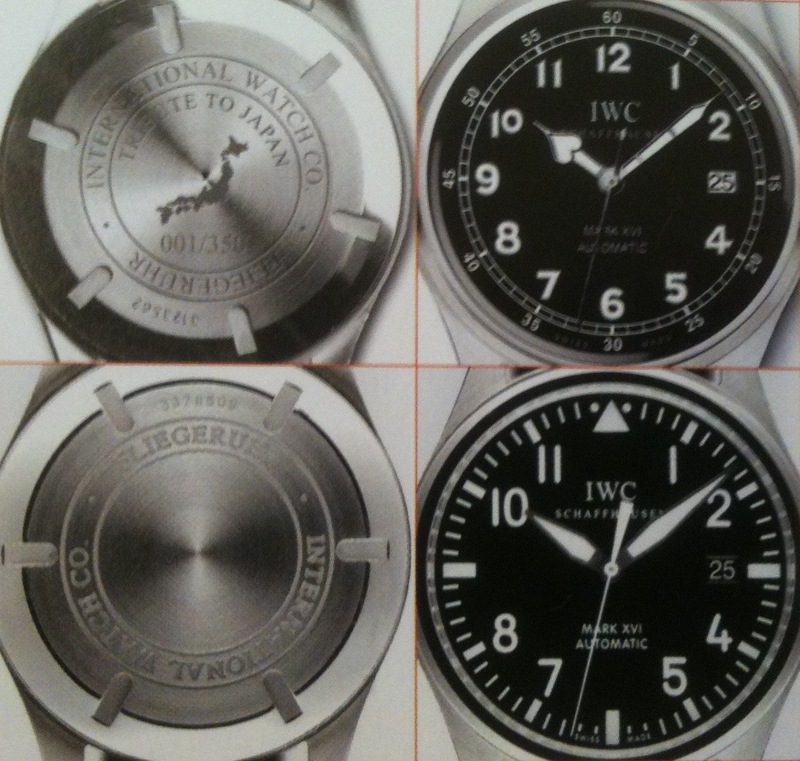 A closer view of the front and back of the watch. The difference is the dial, hands and case back. From what I gather, it is a limited edition for Japan and it limited to 350 pieces. I do not know if the 350 pieces is for the version with the leather strap or includes the version with the metal bracelet. The case back is engraved with 'Tribute to Japan' and in the center there is a map of Japan. It is also serialised. The dial is marked Mk XVI. This is not the first 'Tribute to Japan' watch IWC has made. There were others. It is just that I cannot find any information on this watch. The watch looks like a cross between the Mk XVI and the vintage Mk IX. 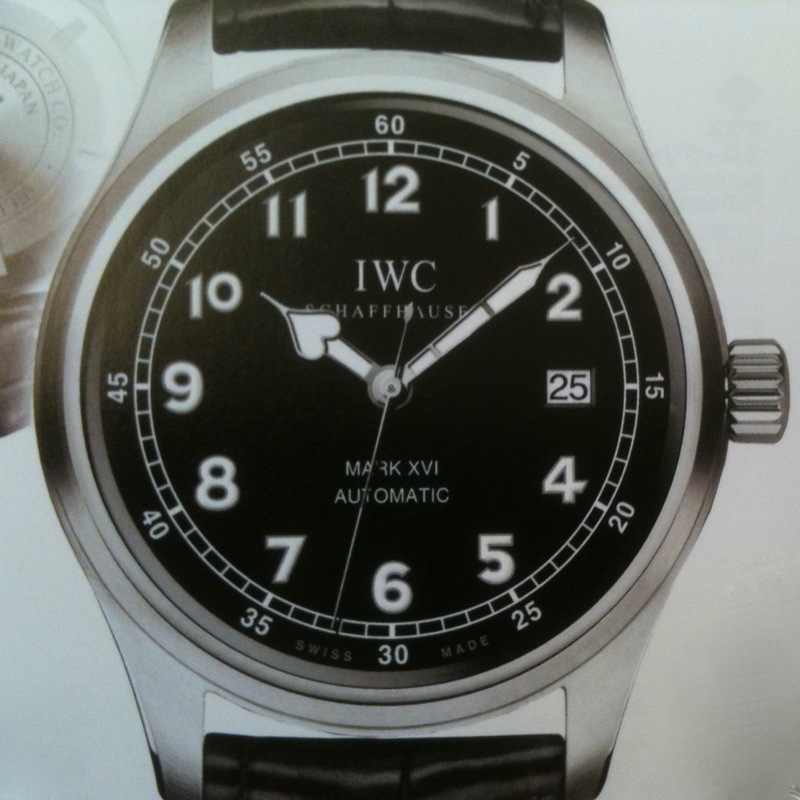 Actually IWC has produced watches under the Mk range with this type of dial and hands in the Mk XV Spitfire for the British market and the Mk XII special edition produced for the Asian market. So anyone with information about this watch? Care to share?